With a very sharp knife, cut a slice from the bottom and top of the grapefruit, cutting into the fruit. Stand the grapefruit up on a work surface, and slice off the peel and white pith in vertical slices, exposing the fruit segments (cut slightly into the fruit part). Use your knife to gently slice between the exposed white membranes, and loosen the grapefruit segments into a bowl. Pick out any seeds. 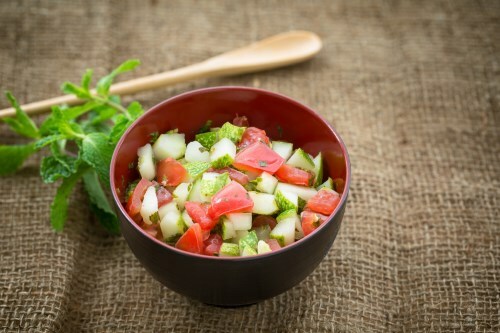 Place the grapefruit sections, jicama, orange bell pepper, cucumber, tomato, green onions, and cilantro into a salad bowl, and toss gently to mix.